A group of almost 50 participants attended my running lecture and I was surprised to see a big crowd of “newbie” runners willing to gain information on the proper way to train and participate in weekend road races. It is unfortunate that this company was so strict on its security protocol—no laptop of visitors to the building and no camera/picture shoot from my personal camera during the event. After 2 1/2 hours of lecture and demonstration of stretching exercises and correct form of running, we had a brief open forum where I was able to answer the questions of the participants. I was informed during the dinner tendered to us after the lecture that their company was able to muster 350 runners to participate in one of the weekend road races at The Fort. 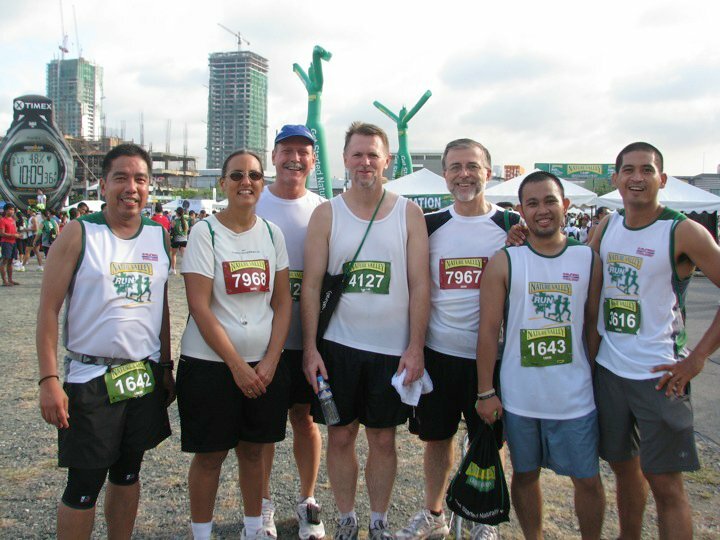 I would like to thank Bernadette San Miguel, Ilo Trinidad and to the rest of the organizers of the Accenture Running Club for the hospitality and warm reception they have given to our team. This is the second time that I did this kind of arrangement for my running lecture—lunch meeting/lecture. I did this kind of lecture-meeting with the Officers & Staff of G-7, Philippine Army through the invitation of Colonel Dan Lucero who heads the office. 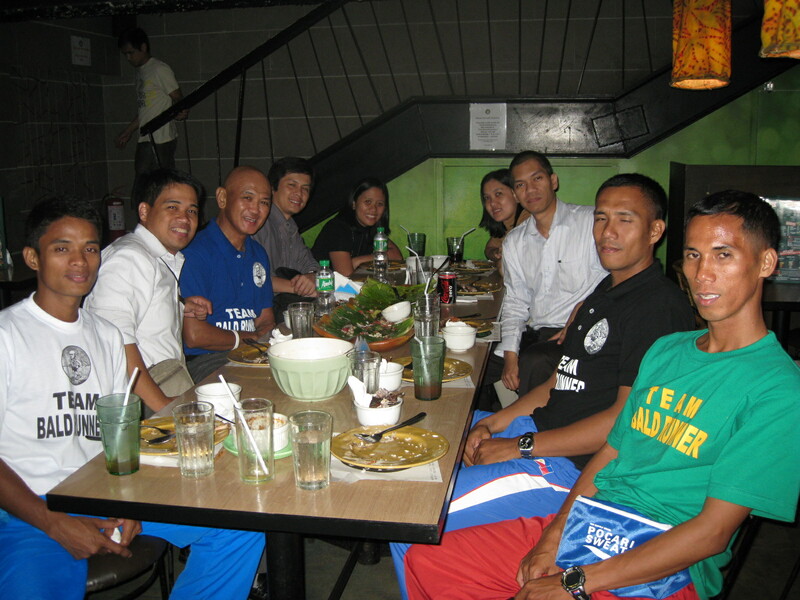 A group of about15 officers were at the Office’s Mess Hall as the participants of my lecture. I delivered an improntu lecture while we were eating our lunch. After we finished our luch, it was time for the Open Forum. Since this lecture-meeting, I’ve been receiving positive feedbacks about their improvements in their weekend road races. 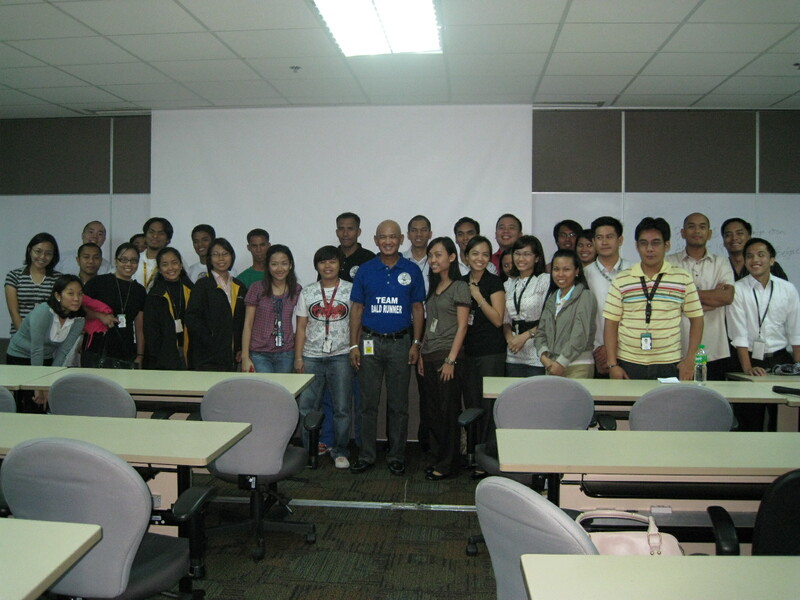 Through the invitation of Joey Carreon whom I met at the ULTRA Oval Track a few days before this activity, I had the same lecture format at the company where he is working. 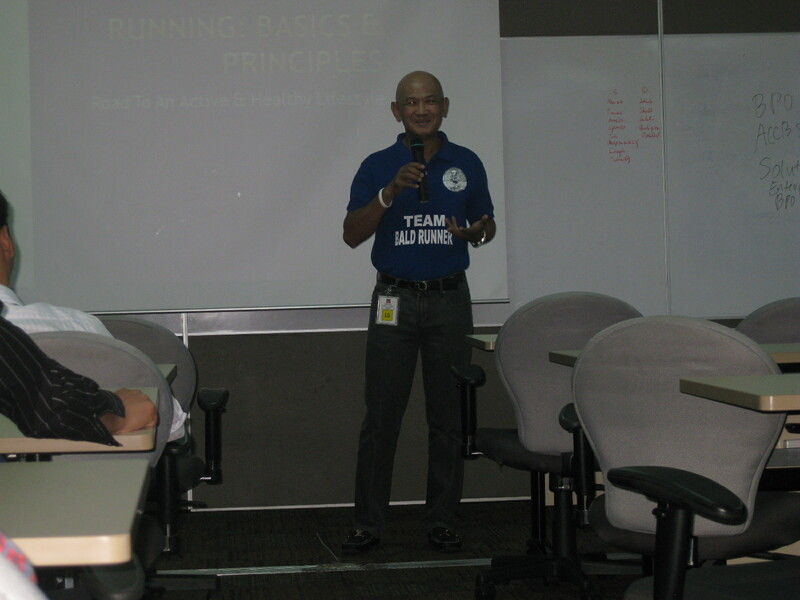 While having lunch with the rest of the Heads and Staff of SIL, I was able to lecture them on the General Principles of Training of Running; Tips on Running; and the Do’s & Dont’s for a “Newbie” Runner. The lecture was not complete without answering the questions and concerns of the participants. In my estimate, there were at least 20 participants during the lunch-meeting/lecture. The lecture-lunch was finished at exactly 1:30 PM just in time for everybody to be back in their respective offices/cubicles. I was surprised to learn that there is an outfit called SIL which is located at the 2nd Floor of Metrobank Building at the corner of Julia Varga and San Miguel Streets. This company had been continously discovering the different native/ethnic dialects in the country and the whole world! And they are translating important books to every dialect. The heads and staff are multi-nationals and I was able to talk to a retired US AirForce Officer/Pilot who had a chance to rub elbows with the AFP leaderships and there was this Chinese-Canadian who was also attentive during the lecture. Through these running lectures & clinics, I was able to meet a lot of people and with the hope that more of our countrymen will be motivated to walk, jog, and run towards adherence to an active healthy lifestyle.